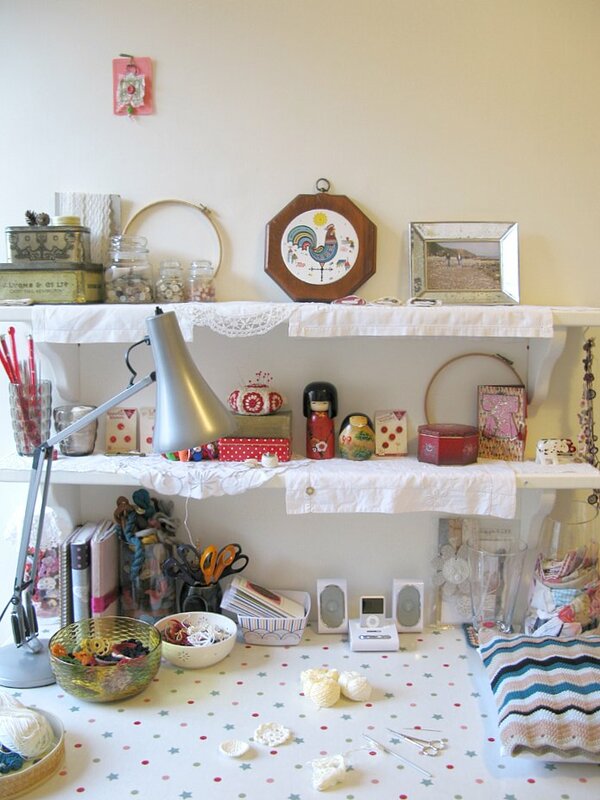 emma lamb: studio details : getting organised! studio details : getting organised! I have done my de-cluttering! I have organised, tidied, sorted, filed, recycled, shredded, arranged and re-arranged. All that is left to do is to take one quite large bag to the charity shop, stop fiddling with my newly and neatly arranged yarn stash (now guarded by the happy girls!) and get down to some crafty business! Although, as you can see I have already been up to a wee bit of crafty business. I did find a few minutes to crochet some new flowers and a few more minutes to string them together into one or two garlands. So as soon as the sun finds a few minutes to shine and I can spend a few more minutes photographing them ready for a wee shop update - yay! Oh, and also amongst all the de-cluttering I did find a few minutes to put together a new Tumblr blog. Although it won't be quite the same as this one where I waffle on between the pretty pics! Nope, this one is only going to be about the pretty pics - 'Woo-hoo!!!' - I hear you cry! For a while I've been wanting a space where I can collect and organise my most favourite and inspiring images. Usually I just save them into a folder on my computer, trying to get as much info into the file name as possible so I can remember where I found them, but of course that never really works, does it!? 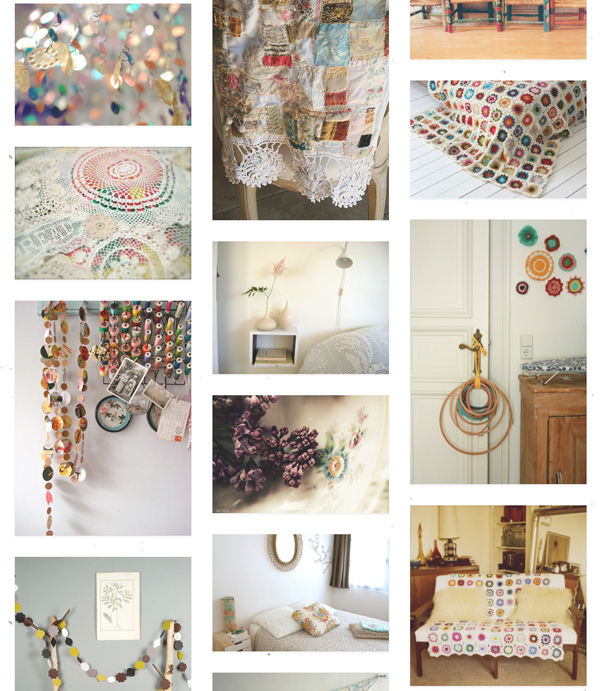 The thought of using Tumblr didn't occur to me until a few days ago when I was reading Jennifer's unique blog, which almost feels like a galley with the beautiful images she has gathered together. So now I have created my own wee gallery space and am feeling quite organised indeed! Oh yes, and what is really surprising me is that amongst all of that I even found a few minutes to take part in a wee interview for the lovely Gina of 'Bright and Blithe'. So if fancy a wee read then grab yourself a fresh brew, maybe a sweet treat too and hop on over there! Yep, I am feeling super duper organised! Okay, okay!!! So we'll agree to gloss over the huge pile of e-mails I need to write - I promise they're on my to do list for tomorrow along with something really exciting that I can't wait to tell you about!!! my goodness you have been busy... your tumblr blog is full of 'breathlessness' is it not!! I'm going over to your new blog AFTER I ask you: What are you using as hangers on your wall? They look good alone on the wall. Please let us know what you are using. Love your new pic bog. Everything in your space looks so beautiful. I am going to check out your interview and tumblr blog after the kids go to bed and I have a few minutes. Your studio is looking gorgeous! 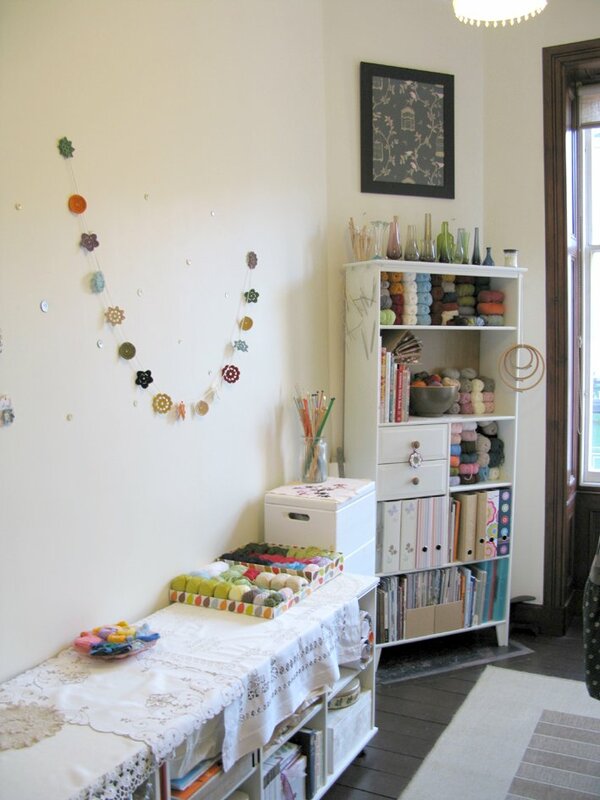 Your beautiful yarn stash would temp anyone to come have a fiddle (Oh, that didn't sound right). I love the idea of your new blog, I will have to have a look see. Way to leave us hanging, can't wait to hear what it is! You've done a wonderful job of organizing...looks beautiful! I'm not that familiar with tumblr...off to check out your blog. thank you very much my lovlies, i am quite enjoying my tidy and clutter free space, i can't wait to get inthere in the mornings and get a crafting! Oh I love your newly tidied area. I have everything in bags and boxes hidden in the living room. You may have just inspired me to do a spot of sorting this evening...its good to have a thorough rummage through in the new year. I'm popping over to your new blog now...looking forward to seeing it. 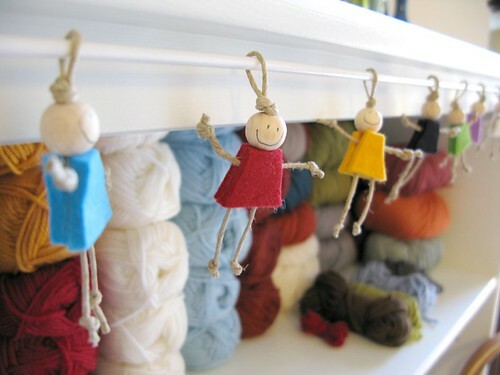 It must just be the time of year, because it seems a lot of us crafters seem to be having a sort out. Your crafting space looks very impressive and organised. I'm really coveting your yarn stash. Your blog is such a beautiful work of art. Emma, what is a simple remedy you've turned into 'art'. No blank walls for you. This is the best idea !! Your workspace is so neat and orderly it must be a joy to work in. Your photos on this blog have inspired me - I must look at the others now!